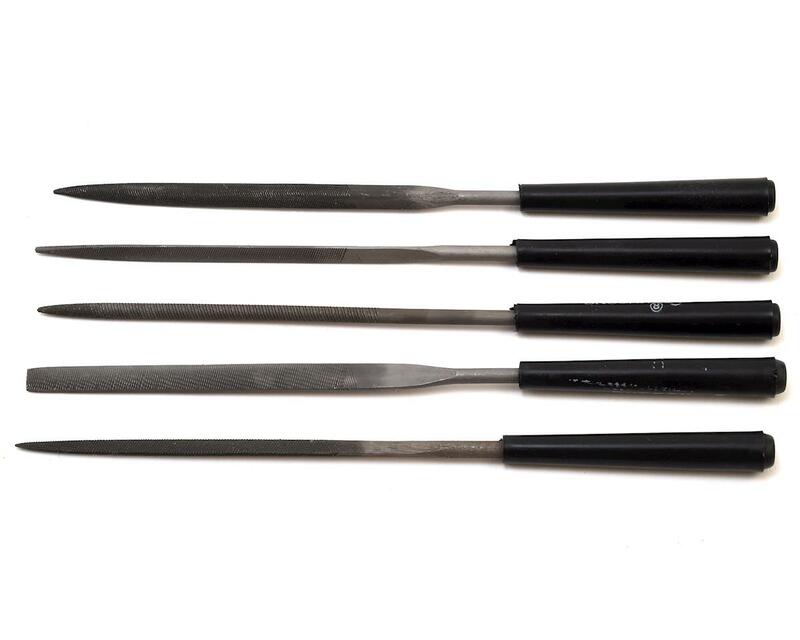 The Hyperion Hand Filing Tool Set includes five various shaped files that will aid for various sanding needs. Each file measures no more than 3mm in width, and 140mm in length. 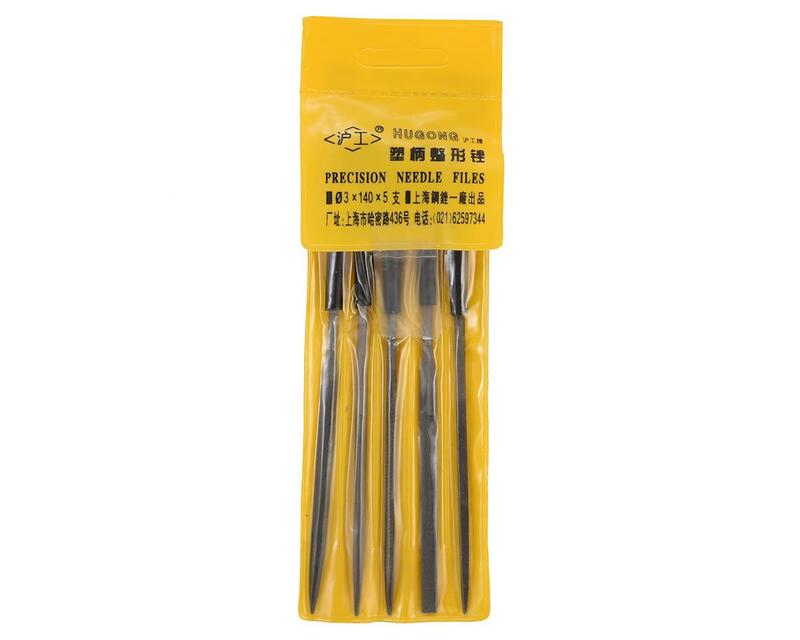 Each file features a rubberized grip, and are supplied in a small carrying pouch that is perfect to be stored on your work bench, or in a tool bag.